Taylor Smith submitted this photo. 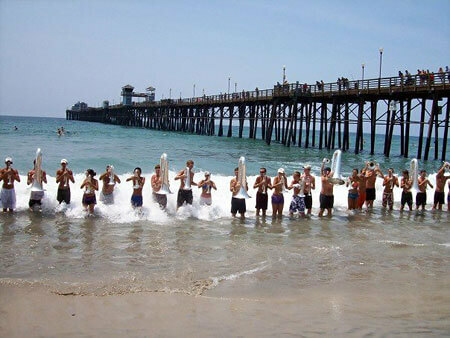 When Carolina Crown was in Oceanside, Calif. during the 2007 season, our staff took us down to the Pacific Ocean to warm up. We weren't allowed to play, but we did breathing exercises until the waves got too big. After that we continued warming up in an amphitheater right by the water. For Crown this was a sea-to-sea summer. Earlier in the summer during a free day we went swimming at North Wilmington Beach, N.C.